Let's make some noise with the Peekaboo Sound Boxes! 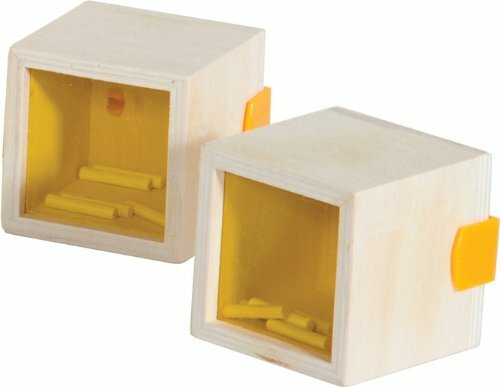 Shake the wooden cubes by their sturdy plastic handles to hear each unique rattling sound and find its match, and guess the material that makes each corresponding sound. Look through the translucent colored acrylic on the base of each box for self-correction. Builds matching, concentration and perception skills. Includes a storage tray. This sensory educational toy is ideal for the home, preschool or day care center. 12.25"W x 9.5"D x 3.25"H individual box : 2.25"W x 2.25"D x 3"H.